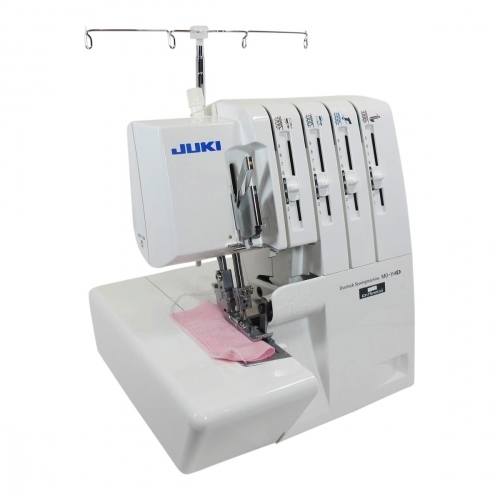 Threading any Juki overlocker is a breeze, each thread paths are colour-coded and clearly marked. 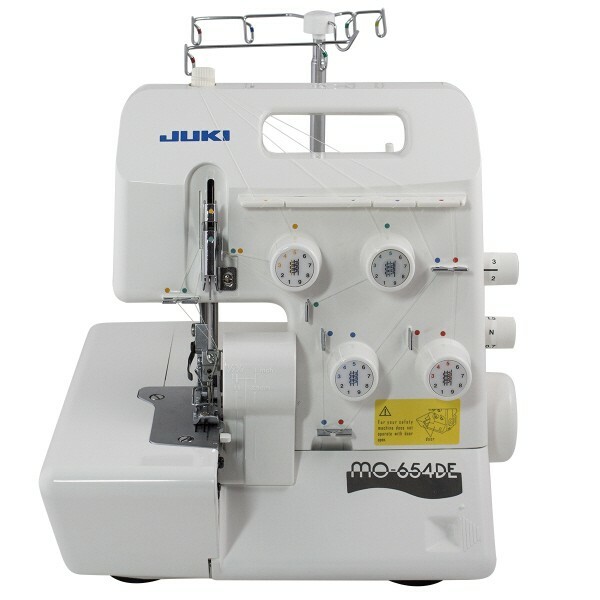 The MO-654DE benefits from having the Easy Looper Threader. 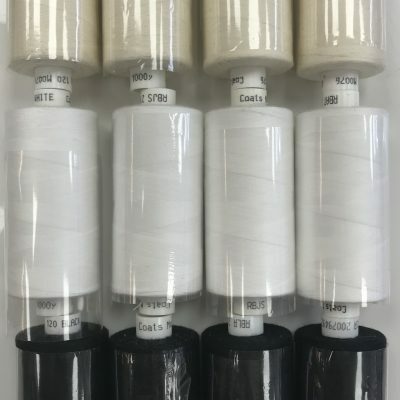 This built-in feature disengages the lower looper for fast and easy threading, simply slide the thread into the slot and reengage the lower looper into place. 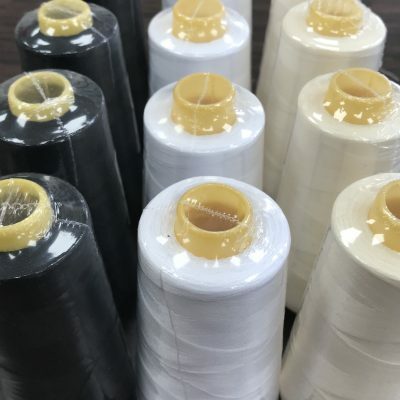 Automatic rolled-hem can be created quickly and easily with a flip of a switch, no need to change the needle plate or foot – Just Flip and Roll! 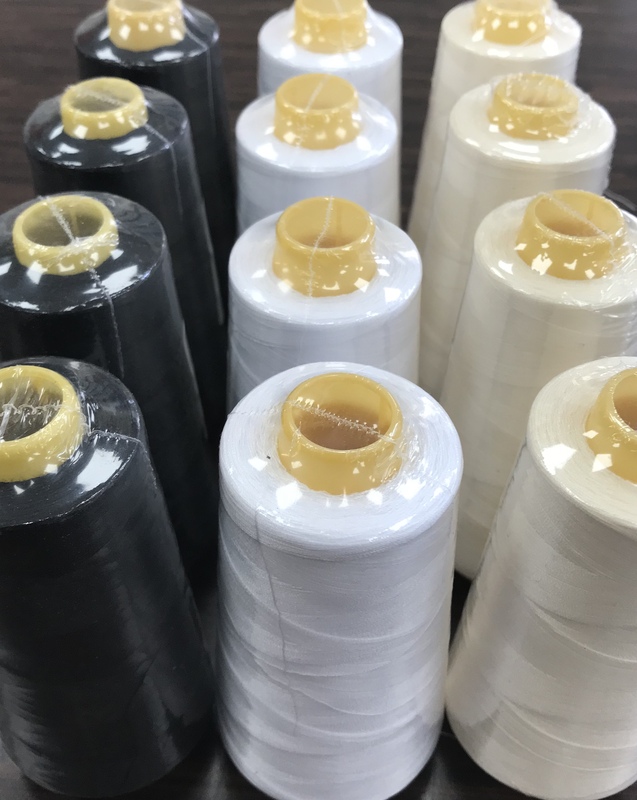 The Pearl Line can handle the latest of materials and threads to assist you in sewing the most fashionable apparel for the entire family, as well as accessories, crafts and home decorating items. 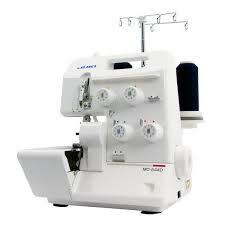 This model has a Differential Feed Adjustment to keep some stretch or difficult fabrics move along evenly. 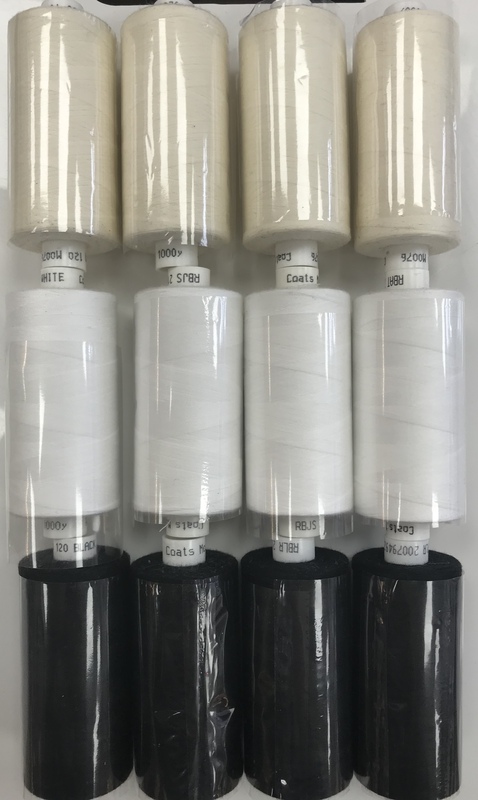 However this dial is also used to make fashion techniques like lettuce edges and more. 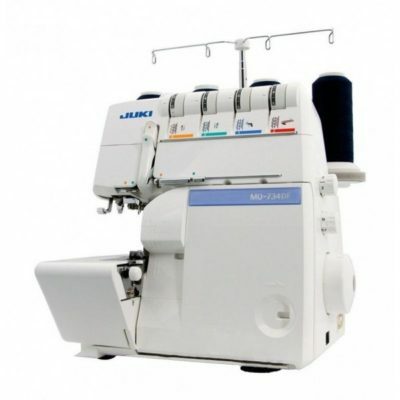 The MO-654DE cannot operate whilst the covers are open, this safety feature cuts power to both loopers and both blades.